Here’s how you go from writing as a hobby to a full-time author career. It’s a new era for writers—one in which the gatekeepers are gone, and anyone with the passion and the talent can write and publish their story for the world to discover. But becoming a full-time author takes more than talent. It takes approaching the work as a discipline and as a business. ​Write Like a Boss: From a Whisper to a Roar! is the guide you’ve been searching for to answer your questions and put you on the path to writing and publishing full time. Here’s how you go from writing as a hobby to a full-time author career. It’s a new era for writers—one in which the gatekeepers are gone, and anyone with the passion and the talent can write and publish their story for the world to discover. But becoming a full-time author takes more than talent. It takes approaching the work as a discipline and as a business. 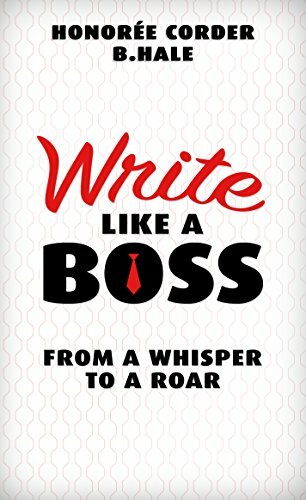 Write Like a Boss: From a Whisper to a Roar! is the guide you’ve been searching for to answer your questions and put you on the path to writing and publishing full time. Learn how to take your passion and talent and channel them into a business that can inspire readers worldwide! In Write Like a Boss, you’ll learn how to shift your mindset from hobby to business. 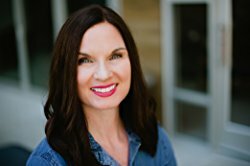 Get advice on writing and publishing non-fiction and fiction alike, from two highly successful, bestselling authors: Honorée Corder is the author of dozens of books, including You Must Write a Book and the Prosperous Writer book series. She is also business partners with Bestselling Author Hal Elrod, creator of The Miracle Morning. Honorée coaches business professionals and authors to write and publish their book, and to achieve bestseller status. Ben Hale is the bestselling author of the Chronicles of Lumineia. Within six months of launching his first book in 2012, Ben sold his business and began writing and publishing full-time. Since then, he has published dozens of titles across five different series. To date, his series has sold more than 200,000 copies worldwide. In Write Like a Boss, Honorée and Ben share their unique personal and professional insight into what it takes for you to replicate their success, and own your author career. Ready to start your full-time author career? Pick up Write Like a Boss right now!